Hollywood has given us glimpses of a future with hovering cars, housekeeping robots and holographic computers. But how much of these technological advancements are fantasy and how much is feasible? Moral of the story? Technology is advancing rapidly and, as PR professionals, it is important that we keep up. The evolution of social media is a prime example. At a point, instant messaging and email were the only ways I connected to anyone on the Internet. Later came the regrettable era of MySpace and then came the less-regrettable-but-equally-disturbing Facebook era. Now, we see a new site pop up each week. The influx of new and popular social media sites has changed how people communicate. It has changed how audiences interact with one another, brands, businesses etc. Interaction is no longer a one-way street. The audience has a variety of platforms to voice their opinions, suggestions and concerns. It’s not enough to inspire or inform an audience about a cause or product, but now you must engage them. BRAC plans to do exactly that. The organization has a Twitter, Facebook, and LinkedIn, all which are regularly updated with important information about the nonprofit. BRAC also plans to engage the residents of Baton Rouge and surrounding areas through the use of the SCVNGR, a geo-location mobile gaming application. This is one example of how BRAC is conscious of its audience communication habits. Phone applications are popular among most people in the area and is an modern way to keep them involved in their communities. Bengal Communications plans to assist BRAC in engaging the Baton Rouge area audience by delivering catered messages to different groups we hope to reach through traditional and social media. Since all members of Bengal grew up in the social media age, I am confident we will have no trouble tailoring messages for different types of social media accounts. We recently launched our agency’s Twitter. Be sure to check it for updates on how we plan to attract residents to outlying Baton Rouge areas and to get more information about BRAC. Follow me @DavidSahr and connect with me LinkedIn. Learn more about the campaign and BRAC by visiting Bengal Communication’s Twitter. It’s hard to believe how much technology has changed, and even harder to believe how much social media has changed our everyday lives. 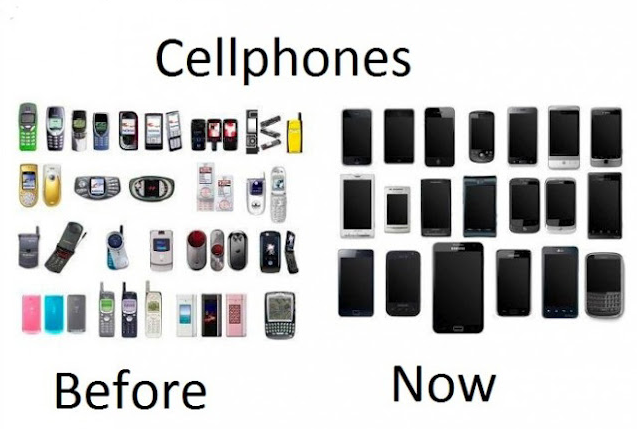 Your image of what mobile phones used to look like compared to what they look like now is unreal. We have come a long way, to say the least. Several years ago, the word “app” would have sounded like it came from a foreign language. Today, it’s hard to go an hour without referencing a mobile application to give us the latest information or news. You brought up some very valid points in this post. One statement that stood out to me most was, “It’s not enough to inspire or inform an audience about a cause or product, but now you must engage them.” This is so true. Personally, I only pay attention to advertisements that bring something new to the table. Billboards and sidebar advertisements on Websites no longer do it for me. I think the audience-interaction aspect of SCVNGR gives it an advantage compared to other mobile applications. I love how SCVNGR encourages users to get on their feet and explore all of the wonderful things that Baton Rouge has to offer. I’m excited to see what trek your agency, Bengal Communications, comes up with for the SCVNGR project. Follow me on Twitter (@karen_nelson) to see what ideas SpotlightBR has in the works for SCVNGR. As a fellow member of Bengal Communications, I have to agree with you that our PR agency won’t struggle when it comes to tailoring messages for different social media websites. Like you said, we grew up during the social media age, so this kind of communication comes rather naturally to us. We changed and grew up right along with the technology. We went from playing Snake on our parents’ Nokia brick phones to downloading the game in application form on our iPhones. It’s really crazy how fast so much has changed, and I think being a part of this growth period has given us a leg up in the technology-heavy PR industry. I think BRAC’s use of the SCVNGR is a step in the right direction and an inventive way to adapt to its audience’s plugged-in habits. SCVNGR seems like the perfect avenue for BRAC because not only is it fitting for its app-adoring followers, but it also helps fulfill BRAC’s mission of showing people around Baton Rouge and what the community and surrounding areas have to offer. I’m looking forward to continuing to work together to fulfill BRAC’s goals in a modern world. I really enjoyed reading your blog. It was very well written. As you stated in your blog, it’s amazing to see how far technology has advanced just in our lifetime. Our first idea of social media was email. We used email and chat rooms to communicate with our peers. I bet if we went back to look at our old emails, we would probably be embarrassed at some of the things we sent to our friends. Then we progressed to MySpace, which was an area of social media that I didn’t participate in because my parents didn’t allow me to create a profile. Now we’re to a point where social media seems like a necessity. I cannot name one friend, co-worker or classmate who doesn’t have at least one social media account. Not only is it popular among normal people like you and me, but now businesses and organizations are also using social media. They are using it as a marketing and advertisement tool. Some nonprofits, including BRAC, are using it to spread their message and their goals. BRAC’s use of SCVNGR is groundbreaking, because it is not a normal social media site that can just be browsed from a computer. It requires action. I’m excited about the trek that my group Spotlight BR is creating in the SCVNGR app. It will expose people to several nightlife options in the Baton Rouge metropolitan area. If you want to find out more information about that, follow me on twitter @_Ramon_H. First, I appreciate your mention of Zenon, Girl of the 21st Century. Who doesn’t love a little DCOM (Disney Channel Original Movie) reference? I like how you pointed out how rapid technology has evolved in merely a decade. I can still remember how cool I thought my RAZR cell phone was and now I couldn’t live without my IPhone, which makes my RAZR look like a Tomagotchi. I completely agree with you about communication being a two-way street in the public relations industry. Through blogs and other social media outlets, audiences are crucial in forming our brand image. Our audience is not only our customers but they are also our biggest critics and people are listening to them about our brand. I believe that it is the job of the public relations professionals to communicate with the audience and, most importantly, listen. Many believe that the evolution of social media has done more harm that good for businesses, but it actually provides an avenue to listen to audiences and hear what they want from companies. Free feedback, what could be better? Personally, I love to use social media to communicate with brands that I follow through Twitter. Here is a link to my twitter: https://twitter.com/carolinekdarwin. This entry was posted on March 27, 2013 by David Jones and tagged Baton Rouge, BRAC, cellphones, Facebook Twitter, social media, tech, technology.